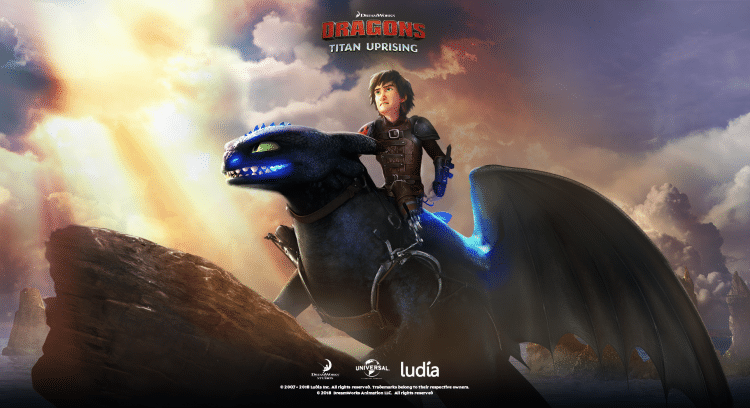 Developed by Ludia Inc, Dragons: Titan Uprising offers RPG fans a new and exciting game to play on both iOS and Android. The developer also boasts other similar successful titles such as Dragons: Rise of Berk and Jurassic World Alive. Although this game runs on mobile by default, you can also play Dragons: Titan Uprising for PC as well. The game will coincide with upcoming film How-to-Train-Your-Dragon 3. Its backstory will plunge you into Berk, land of the dragons, which is under attack from the nefarious Dragonroot Company. You will join Toothless and Hiccup as they try to unite other dragons to save their motherland. Once you collect and assemble a team of five dragons, you can brawl in 5v5 battles. However, the actual gameplay mostly involves 3-puzzle match mechanics. You have to match three rune stones on the puzzle grid. The rune stones are color-coded according to the dragons. Matching them releases spirit abilities that reduce the rival dragon lives. Keep matching more puzzle pieces until you eliminate all five dragons or kill a formidable boss. After unlocking the Mosguard dragon, players can brawl in 3v3 turn-based battles. As you play on, there are plenty of enchanted lands to explore. Go past Berk with your dragons to discover new regions and dungeons. The designers at Ludia have done an exceptional job creating dragons with art-style inspired by the famous film franchise that this game is based on. However, Dragons: Titan Uprising for PC and mobile gives players the ability to breed new rare dragons. You will raise your dragons from babies to broad-winged Titans and take them into battle. The dragons eat fish and keep growing as you feed them. As you level up the dragons in your roster, they will not only grow in size but also develop better brawl abilities. The Dragons in this game may be wild, but these gentle beasts can be tamed. Once trained, you will not only be able to take them into battle but also pet them. The trained dragons even roll over or perform other action-specific tricks. What’s more, training your dragons will unlock new abilities to use in battles. Training your dragons takes time, which can range from a few minutes to hours. You can speed up the process by tapping the lightning bolt icon that pops up as your dragon is training. This will cost you some in-game currency or you can speed up training for free by watching a video ad. The hatchery is where dragon eggs hatch. You can upgrade this facility using supplies such as coins and fish to improve its nurturing capabilities. You unleash spirit abilities only when three rune stones match. However, matching pieces on the puzzle grid don’t always reach that number. Therefore, you have to keep swapping the rune stones until you get three matches. If you see puzzle pieces with a unique pattern and more than one color, those are special rune stones. Use these power-up pieces to release dragon spirit abilities even when there are no 3 matching rune stones.